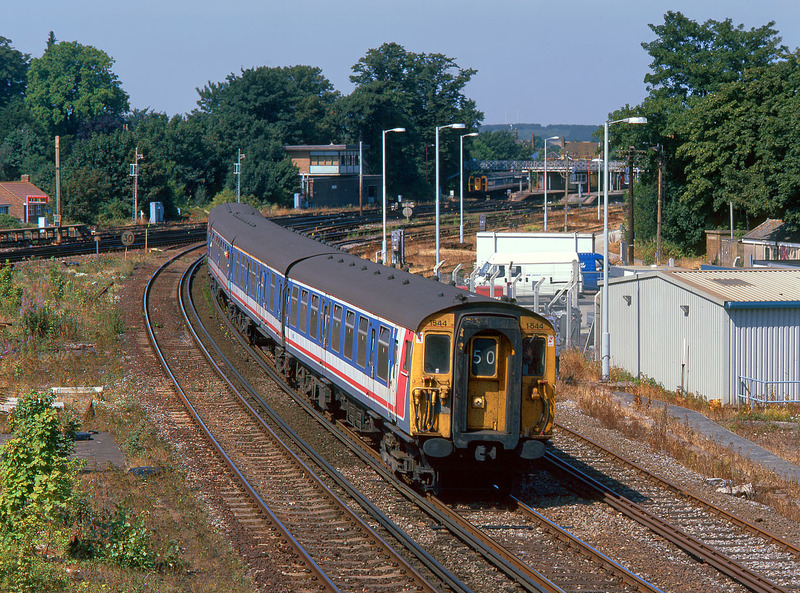 Class 411 4-CEP 1544 takes the Margate line at Faversham with the 10:05 Victoria to Ramsgate Network SouthEast service on 12 August 1995. The station and signal box can be seen in the background, while just out of sight on the left in the vee of the junction (the Canterbury line is on the left), the remains of the steam locomotive depot surprisingly had managed to survive the bulldozers. Both lines and the depot site are crossed by a long footbridge.